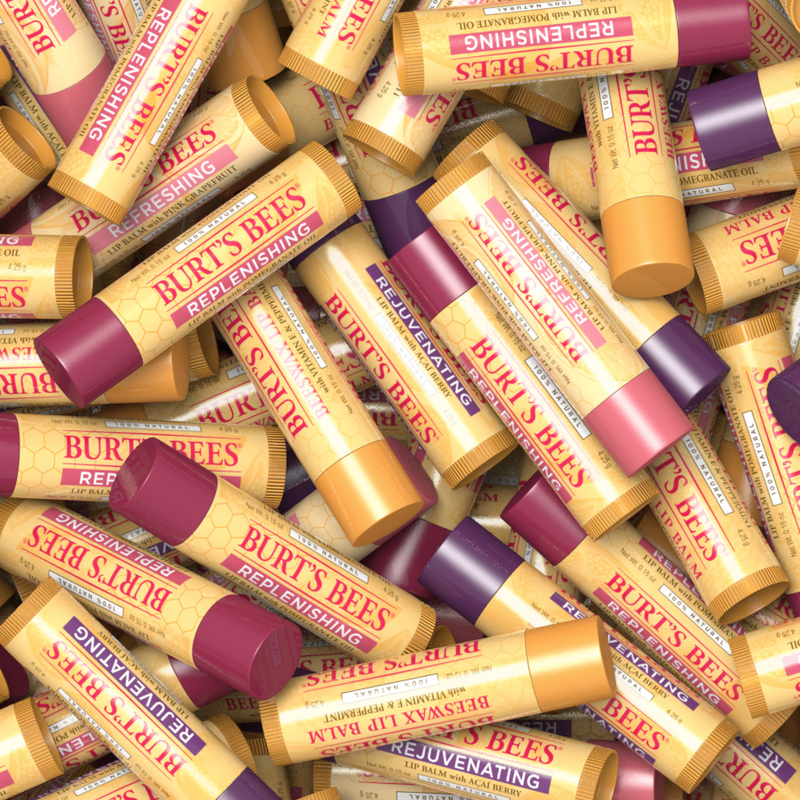 Burt's Bees wanted to photograph a large number of lip balms for a display. 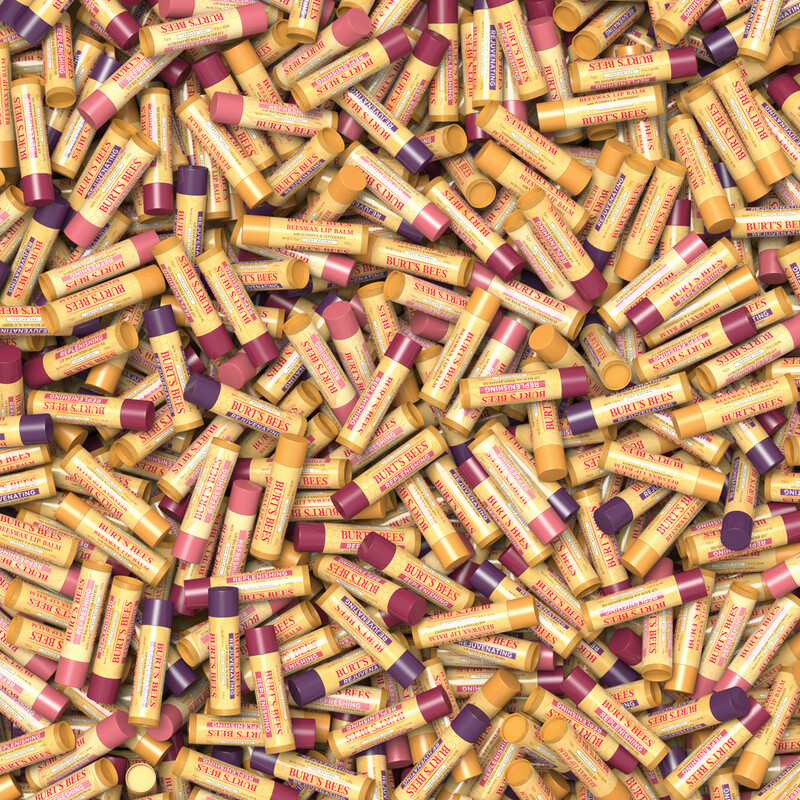 Instead of ordering hundreds of tubes and photographing them, I created a few lip balms using 3D software. 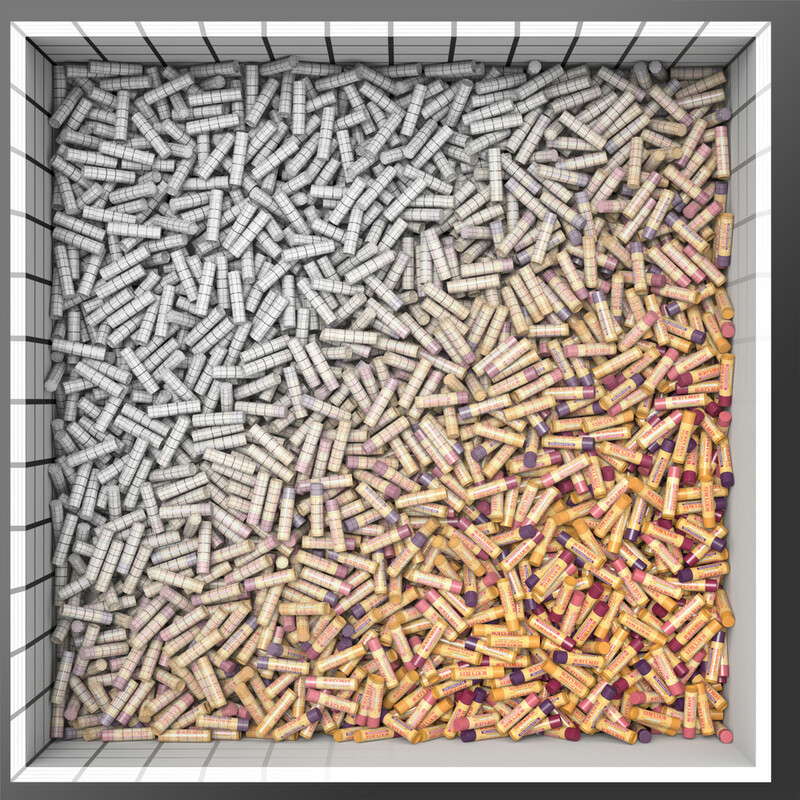 I used a 3D physics engine to drop them into a virtual container and set up a virtual camera to photograph the products.